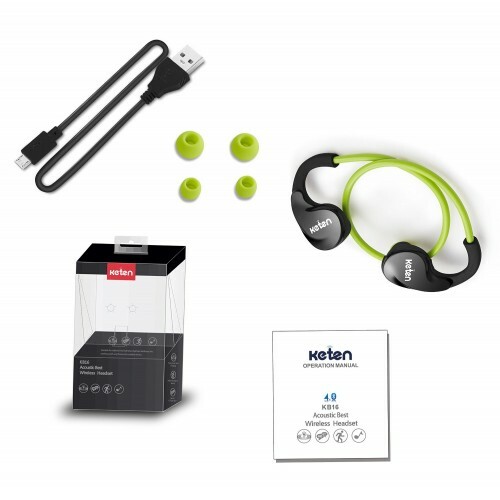 Keten KB16 V4.0 Sport Bluetooth Headphones Stereo Wireless Sweatproof Earbuds Green . Designed and produced by ShenZhen Keten E-Commerce Ltd. 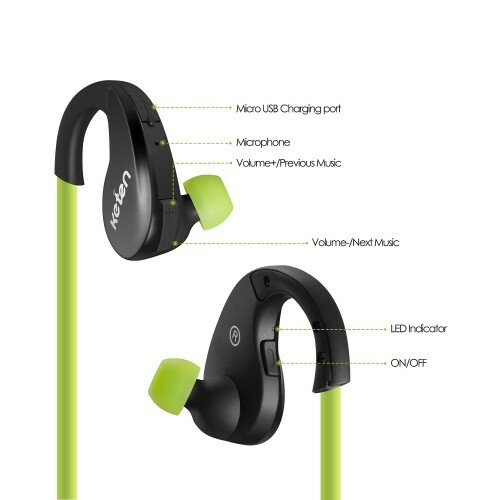 Comfortable Fit: With a flexible lightweight neckband design, the earbud-style headset rest comfortably around the base of the neck and fit ears securely. 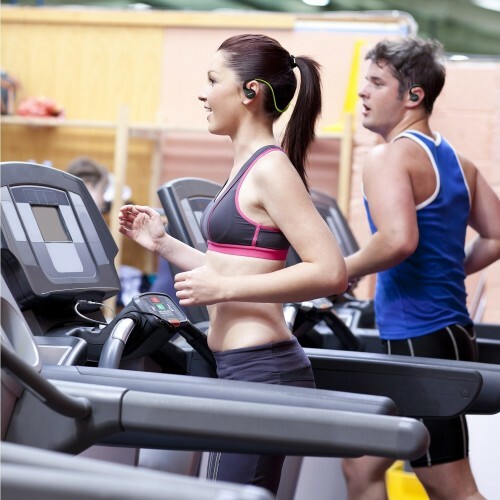 It's easy to forget you're wearing them when you workout. Long Battery Life: The 80mAh battery supports up to 6 hours of talk time, 4 hours of music and 180 hours of standby with a full charge. Enjoy your wireless sport time all day. Folds up compact: They stay neatly coiled when not in use, and can be fit in your pocket while folded. 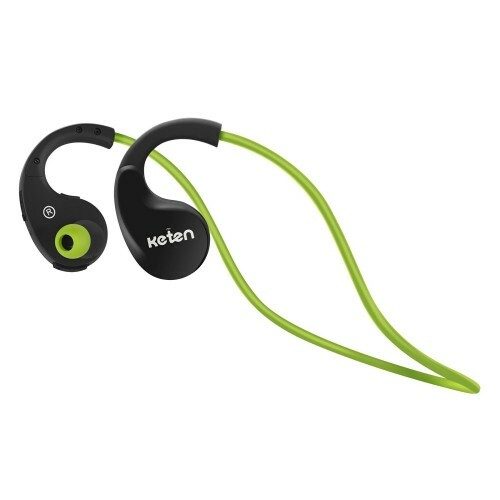 Perfect for exercising, biking, jogging, or outdoor sports. Universal Compatibility: Very easy to pair with your PC Tablet, iPhone, iPad, Android phone and other Bluetooth enabled devices. Reconnect automatically. Top-notch Service: Keten provides a 12-month Worry-Free warranty to all products and friendly customer service to all customers. They offer a built-in microphone for answering phone calls and a control to pause, adjust volume and even select songs. Simple and easy to operate. 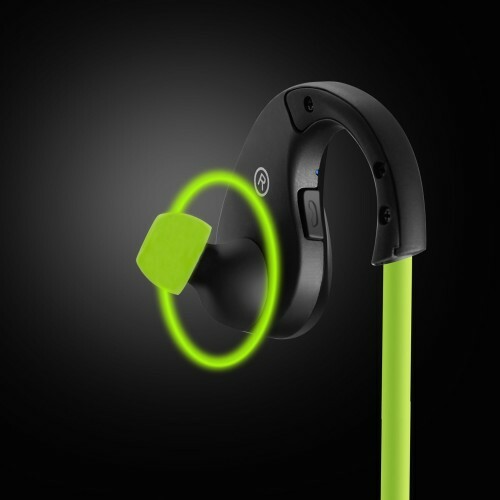 The removable ear tips in the small and large size provide you more options to wear the headphones comfortably.